Using the options below, you should be able to narrow your search results down to useful results, without having to wade through a bunch of irrelevant search results. 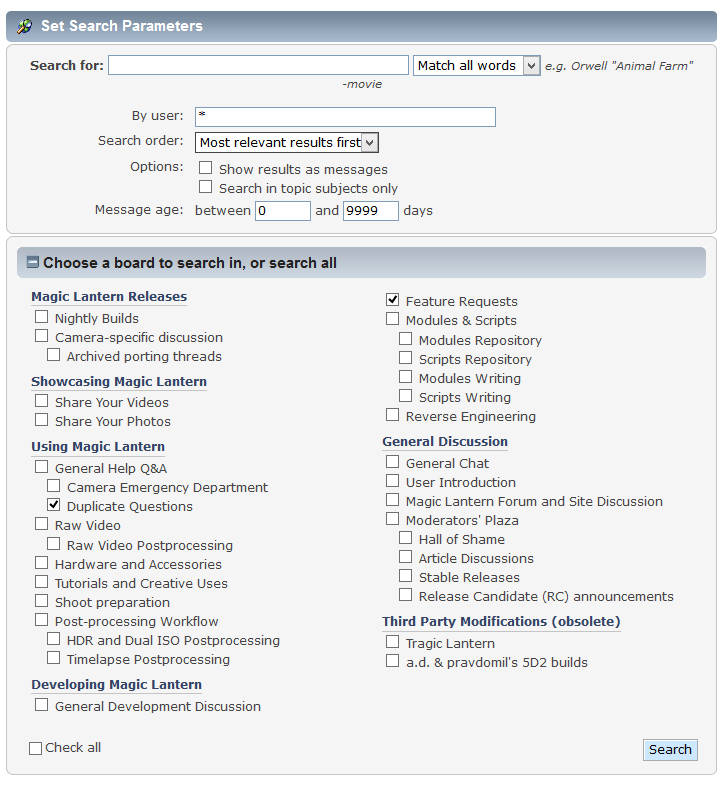 The blue circled search box is a thread search. When inside a thread, you can use this box to search for words inside that thread. The red circled search word is the main search function. This is a dumb search. Enter a word here, hit search, and it will list all posts containing that word. The green circled Advanced search is where the real power lies. See below. This advanced section, opens up some more useful search features. 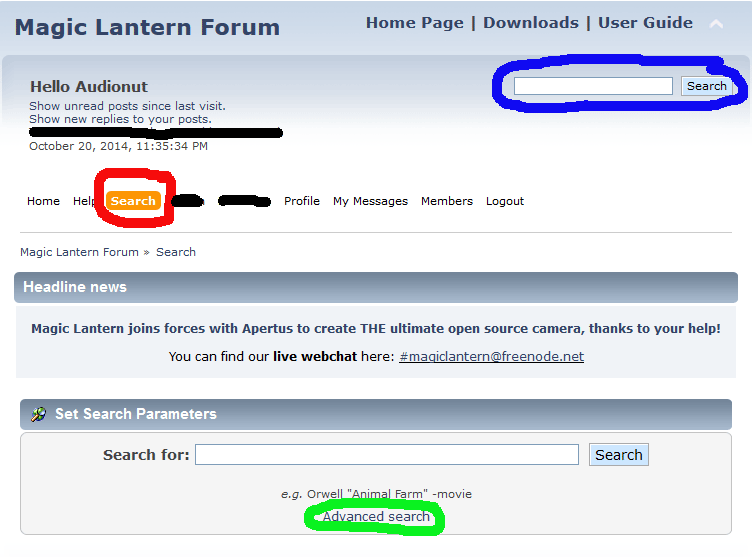 You can search for words by a user, simply enter the forum username. Search in the topic subjects only. ie: Thread titles. Define the age of the posts to search. ie: Only search for the word in posts not older then 3 days (or 5 days, or whatever you define). 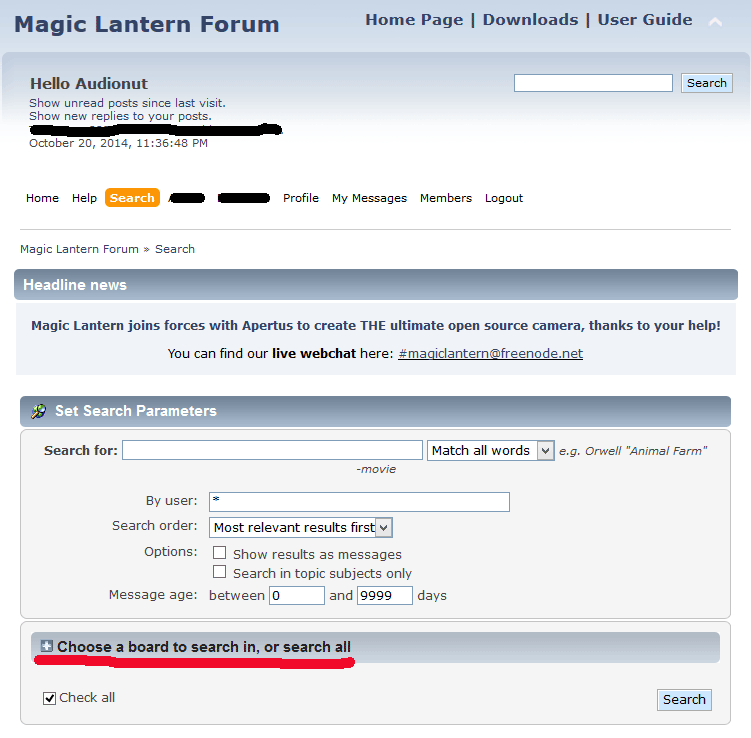 The red underlined option also allows you to define which sections of the forum to search. See below.